Saskatchewan’s Wright & Kiel Named to 2019 Canadian Wheelchair Team! It is nice to see shades of “green & white” represented once again on the world curling stage, as Curling Canada announced Wednesday morning their lineup who will compete at the 2019 World Wheelchair Curling Championships Mar. 3-10, 2019 in Stirling Scotland! We want to congratulate Marie Wright (Moose Jaw Ford Curling Centre) & Coach Wayne Kiel (Balgonie Curling Club) who will join the team at this years championship! Wright & Kiel are no strangers to putting on the red & white as part of Team Canada at a world competition. As both competed alongside eachother in Pyeongchang at the 2018 Paralympic Winter Games, where they brought a bronze medal back to Saskatchewan!! 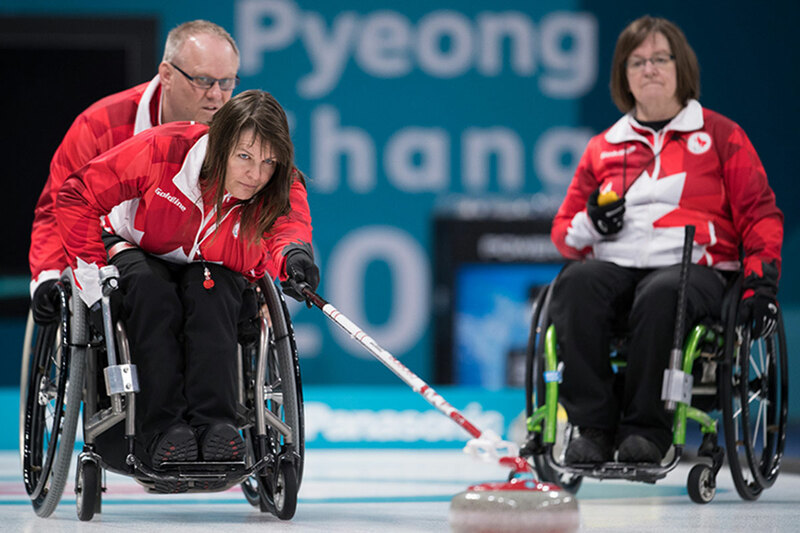 Three members of Canada’s paralympic team – Mark Ideson (Skip), Marie Wright & Ina Forrest (Third) will be on the ice together once again competing! Two new names cracked the squad, and will make their Team Canada debuts at this years championship! Collinda Joseph of Stittsville, Ont., and Jon Thurston of Dunsford, Ont! 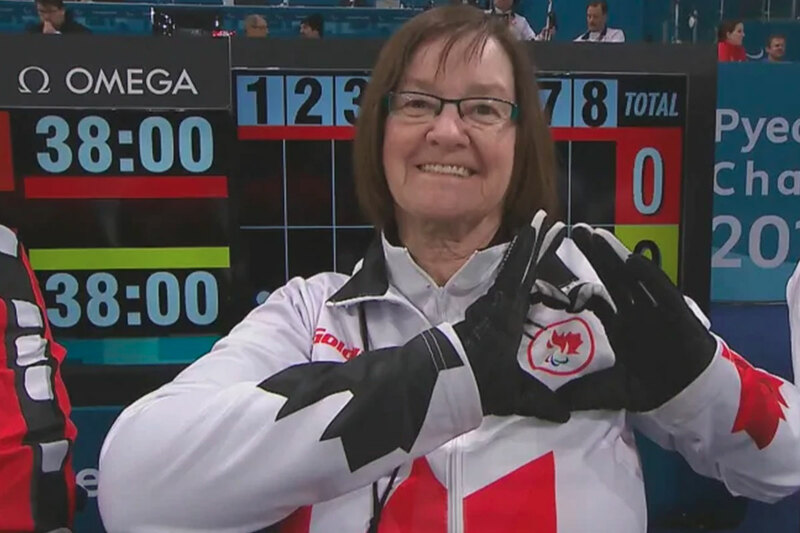 Marie Wright posing at the 2018 Parlaympic Winter Games in Pyeongchang, South Korea (Photo Courtesy CBC Sports). L-R: Dennis Thiessen, Ina Forrest & Marie Wright taking in team practices in Pyeongchang (Photo Courtesy Curling Canada). Team Canada will kick off their World Curling Championship Sunday March 3rd, as they will take on Team Latvia! For the full schedule, please click here. 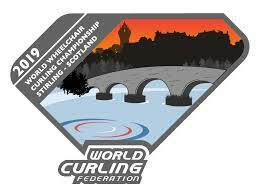 For the full Curling Canada article, please click here.